The licensing server has exceeded the number of user license available. Please contact your administrator. If the licensing limit is reached the product enters in Grace Period. You can check this going to RAS Console > Licensing. You'll be able to continue using Remote Application Server with extra users logged in during the next 7 days. 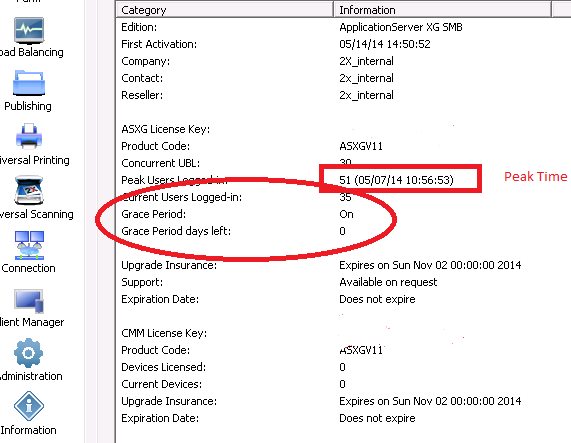 After the Grace Period, only the amount of users stipulated by your license key will be allowed to login. NOTE: Licenses are freed once the users have no active session. 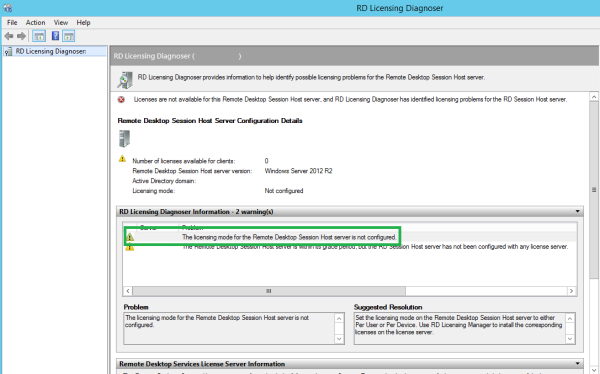 Remote Application Server does not cache such information. Once user logs off, license will be free in a couple of seconds. Please note that 1 license represents a user on a specific device connected to a single farm. If the same user connects to the same farm using 2 different devices 2 licenses are consumed. If the same user is connected to multiple sites using the same device the same license is in use.